The Israeli army will put thousands of extra troops on alert in the West Bank ahead of Friday prayers at Jerusalem's Temple Mount, fearing that clashes over security measures implemented at the holy site will spread. The Israel Defense Forces (IDF) announced on Thursday that it would be putting five extra battalions on call in the West Bank, adding that they could be deployed if backup is needed, the Jerusalem Post reported. The army fears that clashes could erupt on Friday, as Muslims make their way to the Temple Mount for prayers. Jerusalem police will also be reinforced by thousands of special police forces, according to Haaretz. 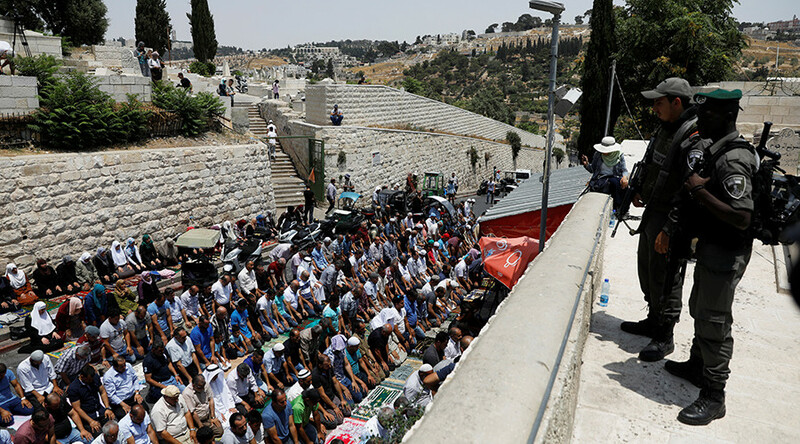 It comes after the mufti of Jerusalem and the heads of the Waqf called on all imams in the city and surrounding areas not to hold Friday prayers in their mosque, but to hold them outside the holy site - known as Ḥaram al-Sharif (Noble Sanctuary) to Muslims - instead. The Popular Front for the Liberation of Palestine, the Islamic Jihad group, Hamas, and the Umm al-Fahm Popular Committee, a local community organization, echoed those calls on Thursday. As many as tens of thousands of worshipers could embark on the site as a result of the appeal, Haaretz reported. Some have already arrived to the Old City from Jerusalem, the West Bank and Israeli cities, a Palestinian activist told Haaretz. They plan on spending the night in the area, concerned that police may block access to the city on Friday. Numerous clashes between Israeli police and Palestinian protesters have taken place near the Temple Mount this week. It comes after Israeli authorities installed metal detectors at the site, after two border police officers were killed in an attack at the site last Friday. 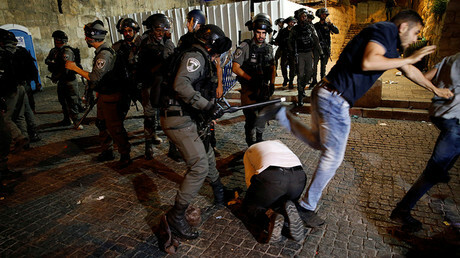 Dozens have been injured in the clashes, with Israeli police reportedly using tear gas, rubber bullets and stun grenades to disperse demonstrators. Scuffles broke out in the West Bank on Wednesday, after the Fatah party, led by Palestinian Authority President Mahmoud Abbas, ordered a "Day of Rage" over the placement of metal detectors. Three people were injured by live fire in the "Day of Rage" events, according to the Palestinian Red Crescent. The injuries occurred near Qalandiya, after dozens of youths who were marching towards the checkpoint near Ramallah began to throw stones at Israeli forces, according to the Jerusalem Post. 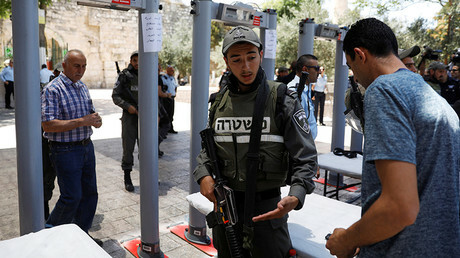 Palestinians say the placement of metal detectors interrupts the status quo at the Temple Mount, which is holy to both Jews and Muslims. Under the current situation, Israel controls access to the site while Jordan presides over its daily management. However, Jerusalem Mayor Nir Barkat stated on Facebook that the decision to place metal detectors at the site was "the right decision [and] necessary to prevent further terrorist activities." The announcement of the extra on-call security in the West Bank came just hours after a Palestinian man attempted to stab IDF troops at an inspection post in the West Bank village of Tuqu. He was shot dead by soldiers.